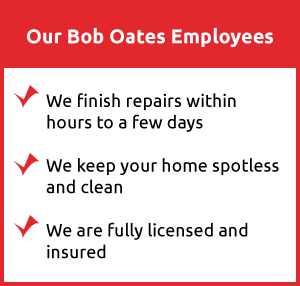 With years of experience and a commitment to customer satisfaction, our team at Bob Oates Plumbing, Sewer & Rooter have the expertise and equipment necessary to ensure you receive streamlined, professional service and the most innovative solutions on the market. 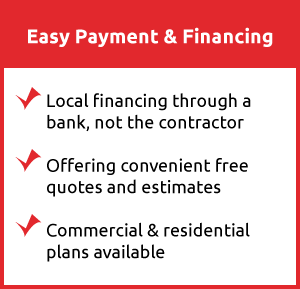 We pride ourselves on our affordable pricing as a way to keep the local community running smoothly. Do I Need to Repipe the Pipelines in my Home? Repiping is the method used when the copper or steel water lines in your home need to be replaced. If your home is more than fifty years old, there is a fair chance that it’s time to replace the piping. Typically, the entire pipeline would need to be replaced, because when one area begins to fail, others follow suit. There are several symptoms of a water line in disrepair, including odor, rust, and discolored water. With Bob Oates Plumbing, Sewer & Rooter, not only do we perform the needed replacement work, but we also recommend yearly plumbing inspections to all of our customers as the best way to evaluate the condition of the water pipes in your home. Luckily, repiping does not have to take more than a few days, making it a less expensive process as a result. At Bob Oates Plumbing, Sewer & Rooter, our technicians are trained to repipe the water line at your property with flexible PEX piping or trenchless pipe lining. PEX pipelines are a flexible plastic pipe that resembles a hose and eliminates the need for damaging infrastructure in your home during installation. PEX pipes can be maneuvered into place through access points or small areas created during installation. Repiping with PEX is an economical choice, because it requires less labor and time to complete than traditional pipeline replacement. Clients who choose PEX piping enjoy fast, easy, and cost-effective installation. Trenchless pipe lining is a non-invasive method of pipe repair that involves relining the inside of old pipes and essentially renewing them to become new pipes. Before pipe lining is determined a viable option, our technician will perform a professional inspection on your pipeline. If pipe lining is chosen as the method of repair, the technician will clean the inside of the pipeline and then insert a felt liner soaked in an epoxy resin into the pipes through an existing access point. The use of an existing access point means there is no need to dig trenches through landscaping or infrastructure, making the repairs completely trenchless and eco-friendly with their no-dig qualities. After it is inserted, the liner is inflated until it hardens into a new pipe with in the old pipe. Best of all, the epoxy pipe is environmentally-friendly and resists corrosion. It also rejects nasty buildup found in traditional piping materials, which filter into your water supply. Finally, epoxy pipes last for at least fifty years, meaning you enjoy quality, clean water for decades to come. As a family owned and operated business, we value the local community and take pride in helping provide clean water for our clients. When you choose us to handle the plumbing repairs at your property, you choose a highly-skilled team dedicated to professionalism and integrity, and ensure that you receive superior service. Call us today at 206-203-7142 to schedule an appointment with one of our licensed technicians.